Renault is planning big in its bid to return to winning ways and laying the foundations for its targeted future success. Crash.net's Lewis Larkam explains how its Renault Sport Academy is working to build an F1 world champion of the future. 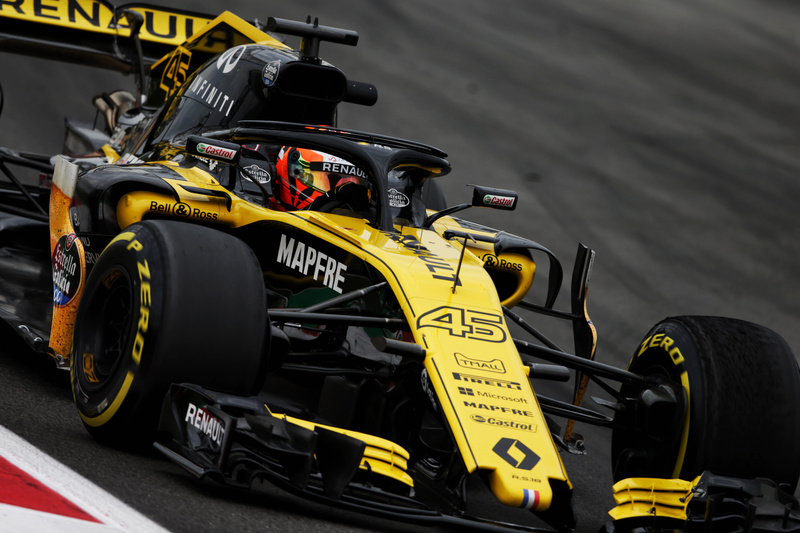 Renault has outlined its ambitions of returning to its former glory days in Formula 1 and is steadily putting together all the necessary pieces to pull it off. While its F1 efforts will take centre stage in 2019 in a bid to close-up on the sport’s current leading three teams with a revised driver line-up of new signing Daniel Ricciardo alongside Nico Hulkenberg, work is fervently going on behind the scenes at its Enstone base to ensure the long-term stability of the French manufacturer’s prospects. Renault has been one of the leading forces in bringing new F1 talent through the ranks over the years, following the creation of its programme to support young racing drivers back in 2002. Its junior scheme has fostered grand prix winners including Robert Kubica and Heikki Kovalainen, as well as current Haas driver Romain Grosjean to mention but a few. While its name has changed throughout the years - from the RF1 Driver Programme to the newly formed Renault Sport Academy, the foundations and aims of its identity have remained the same to this day: to produce talent destined for F1. 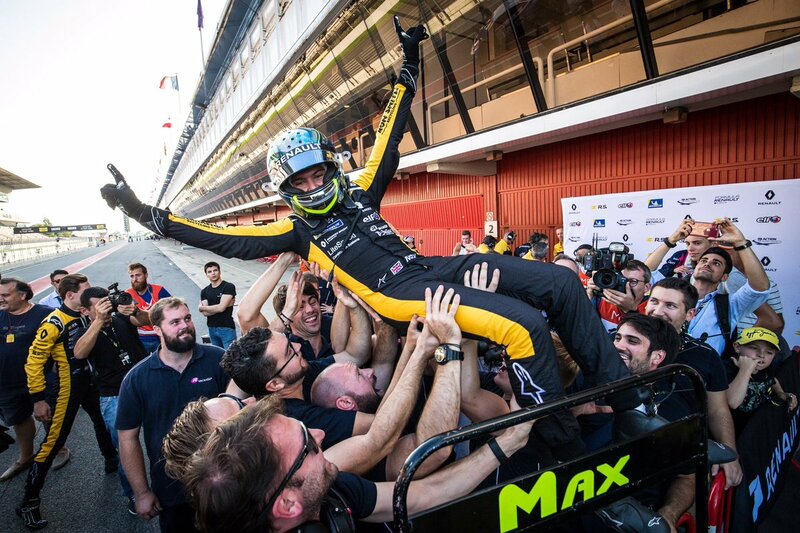 Renault revealed its ‘Class of 2019’ during a 48-hour period of announcements last week, with Max Fewtrell, Christian Lundgaard, Victor Martins, Anthoine Hubert, Guanyu Zhou and Caio Collet the latest batch of young hopefuls vying to impress throughout the various rungs on the racing ladder. 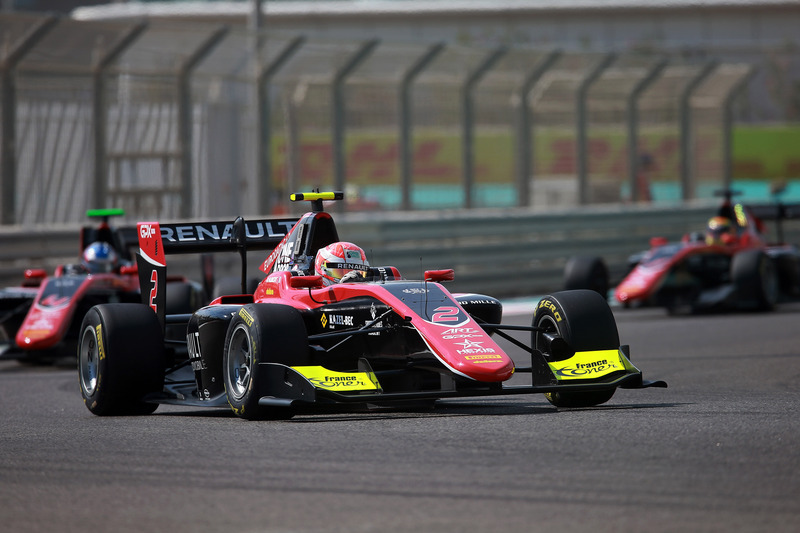 Two of its drivers, Zhou - a former Ferrari Academy Driver - and reigning GP3 champion Anthoine Hubert will act as Renault’s most senior-level members by contesting the FIA Formula 2 Championship in 2019. 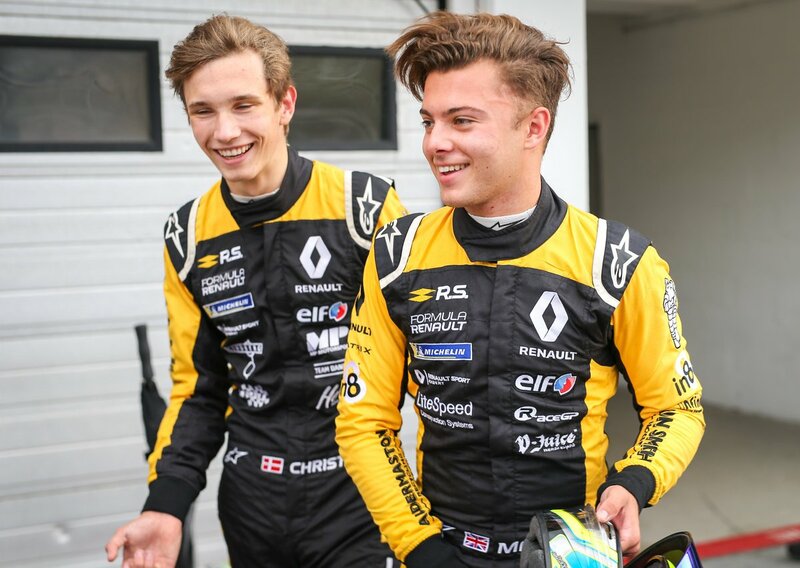 Meanwhile, 2018 rivals Fewtrell and Lungaard are reunited as teammates at ART Grand Prix in the new FIA Formula 3 Championship, and Martins and Collet will take on the Formula Renault Eurocup, the lowest open wheel formula that will feature RSA representation this year. F1 junior team programmes provide crucial support to young drivers on their path to the pinnacle of single-seater racing. All of F1’s current elite have enjoyed some kind of links to a team, with George Russell (Mercedes), Lando Norris (McLaren) and Antonio Giovinazzi (Ferrari) alone making it onto the 2019 grid having had their junior careers backed by three of F1’s big guns. The large sums of money required to rise through the junior ranks and the unforgiving pressures that coincide with the sport have forced promising drivers to seek alternative routes to the top or quit motorsport altogether in the past. Sponsorship is hard to come by and it is not uncommon for drivers and their families to fork out millions in a bid to reach F1. For Fewtrell, the reigning Formula Renault Eurocup champion, Renault’s support has been pivotal to his progression. The 19-year-old revealed his career was nearly cut-short after just one and a bit years of single-seater racing in 2016. “Halfway through the season it was like 'you need to win this or you probably won’t continue racing',” Fewtrell explained. That is when Renault stepped in. Having eventually triumphed to the British F4 title, the opportunity arose for Fewtrell to step up to the Formula Renault Eurocup with backing from the French manufacturer. Renault’s faith in Fewtrell was rewarded when the Briton took the title within two years. “Unless you’ve got a very wealthy family I think you definitely need a good backing from sponsors or an academy like this, it’s perfect for me,” he added. Renault considers its development programme structure and philosophy like the staging system for education in the UK, with drivers coming through primary and secondary levels (F4 and F3) and reaching the equivalent phase to university - which Renault views as F2 - before ultimately graduating to F1. It prides itself in offering a “partnership opportunity” to its Academy members, something which it believes distinguishes it from rival programmes at the likes of Mercedes, Ferrari and Red Bull. Renault provides gradual financial backing to the drivers within its RSA, beginning by covering 25 percent of the costs and eventually funding half of the budget of its members. “We have to scout and look for drivers who are willing to work with us,” Renault Sport Academy director Mia Sharizman said. “We can’t splurge out big money, not yet. It’s the same philosophy as the Formula 1 team, you can’t just splurge big money straight away. “You have to remember the philosophy of us is maybe a bit different than Red Bull for example. Red Bull basically owns everything, they cover everything for them. For us it’s more of a partnership, a 50-50. Sharizman compares the “tough” nature of F1 development programmes to the levels of competitiveness seen in football academies, with the richest teams able to cherry-pick the best talent on offer, while for smaller teams alternative incentives – such as offering a higher chance of game (or seat) time – can be another way to persuade young drivers to join their scheme. RSA ‘scouts’ are deployed worldwide to unearth the latest up-and-coming prospects, however, unlike many of its rivals, Renault does not start its selection process from karting levels. Instead, it assesses how quickly drivers can transition from karts into single-seaters and places greater emphasis on achievements at regional-level formula such as F4. “That transition is the first thing we evaluate, how quick somebody can transition from a kart to a single-seater, because then you will know how quick a transition they are from Formula 3 to Formula 2, and Formula 2 to F1,” Sharizman said. “Then we look into more details and then sometimes we do look at the attractiveness of a driver outside of the track. That’s also quite important. Renault believes it has an ace up its sleeve in offering a more supportive and understanding environment compared to the notoriously-demanding surroundings found at Red Bull. It also sends its drivers to specially-designed training camps focused around both physical and mental preparation with doctors, psychologists, physiotherapists, nutritionists and athletic trainers supplied via a partnership with Formula Medicine. “Everything is a cut-throat attitude, you are in or out. But for us, we have targets,” Sharizman said. “It’s step-by-step [process] and it’s everything all in writing. There’s no ‘I like you but I don’t like you’ in a driver. “Also on the race weekends we are not robots, we know things can happen during a race weekend, an alternator failure or the various F2 starts last year and we do have to factor that into account and how it pans out for a driver. “Nevertheless there is a target but there is also a two-way conversation between the driver and us, so sometimes we keep them for a longer period. “A Formula 1 team doesn’t just need a driver, it needs a development driver, it needs a test driver, it needs a simulator driver, it needs drivers that can do the rookie and Pirelli days. Renault’s goal is to nurture one of its young hopefuls to earning an F1 promotion by its self-set target date of 2021, with the ultimate view of producing its own world champion. That might seem an ambitious aim considering Renault has just recruited Ricciardo, who is on a two-year deal and unlikely to move providing all goes well. Hulkenberg is only contracted to the end of 2019 but there is little suggestion that he will seek pastures new following the conclusion of this season. An apparent lack of short-term openings has not stopped the Enstone squad from setting the wheels in motion and ensuring it is primed and ready to unleash the next generation when the right time comes.